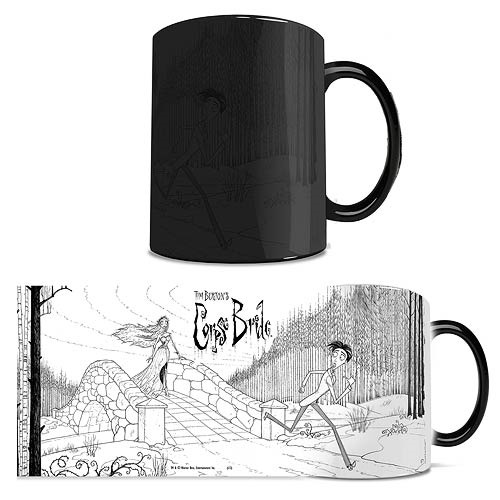 Shopping for Corpse Bride Mugs? This 11oz Corpse Bride Morphing Mug transforms from black as hot liquid is added! Watch as the heat-activated process reveals the hidden image in full vivid colors! Holds 11 ounces. Ages 12 and up.